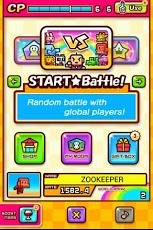 Thank you for all ZOOKEEPER BATTLE fans! 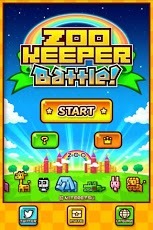 4.5 million total Downloads!ZOOKEEPER! 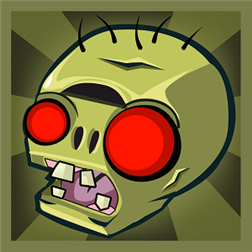 The overwhelmingly popular action puzzle game with over 10 million players now comes to Google Play Store as a versus puzzle app – and it’s free to play! 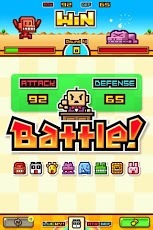 Right now, players can take part in a battle event and aim to get a special rare prize! The app will feature more and more events as time goes on, including Raid Battles against unique, limited-time-only characters! Also, players who invite 10 friends will get a “Hot Air Balloon” decoration item! 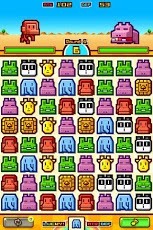 You simply switch adjacent animals, and if the switch makes a row of three or more of the same animals, they are caught!